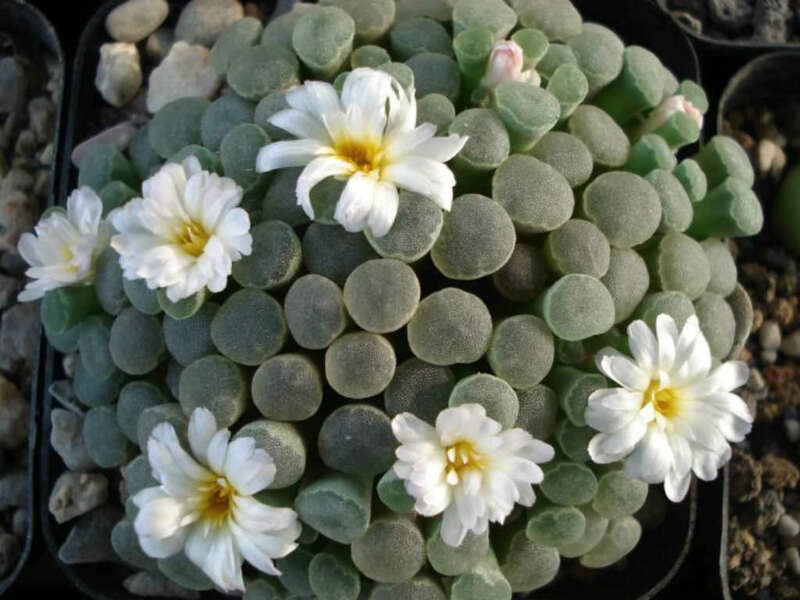 Frithia humilis is a stemless, dwarf leaf succulent with finger-like, grey-green leaves, windowed at the tips forming rosettes just at the soil surface. 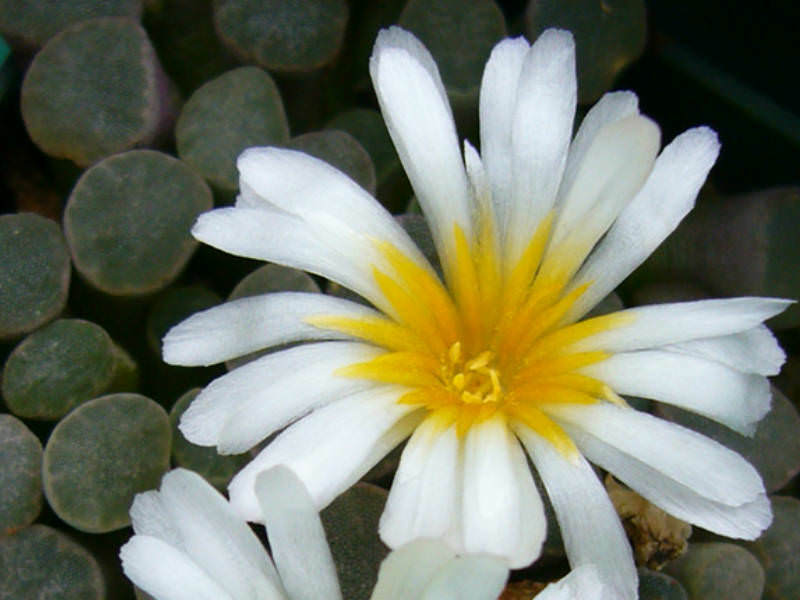 The flowers are white with a yellow center, sometimes tipped with light pink. 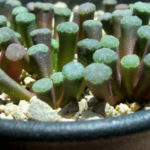 They are generally about 0.8 inch (2 cm) in diameter and are borne singly on very short stalks or are stalkless. 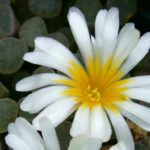 Frithia is a summer grower and relatively easy to cultivate. It need light sporadic watering during its winter resting period and requires moderate sprinkling in summer as it is rot prone if kept too moist when the heat turns off its growth cycle. 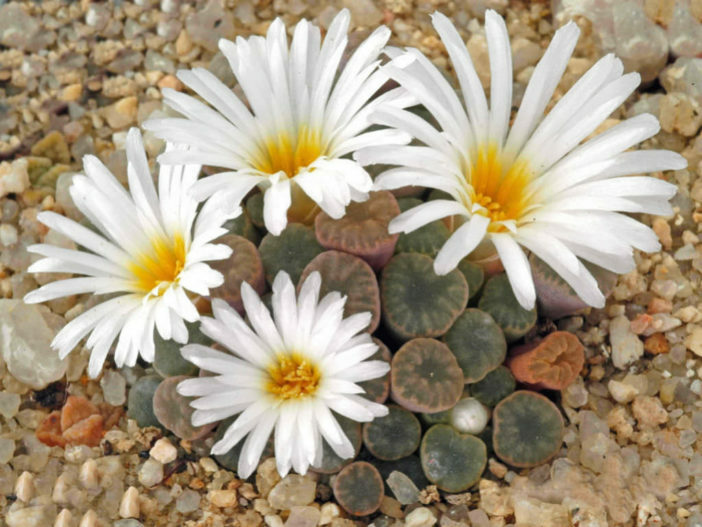 Gritty, well drained soil, containing a small amount of organic material will keep this species happy. 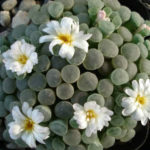 Frithia can be grown in pots or out of doors in a rockery. Soak the compost fully but allow it to dry out perfectly between waterings. Under-watering can lead to disastrous results, so be generous with water in summer. 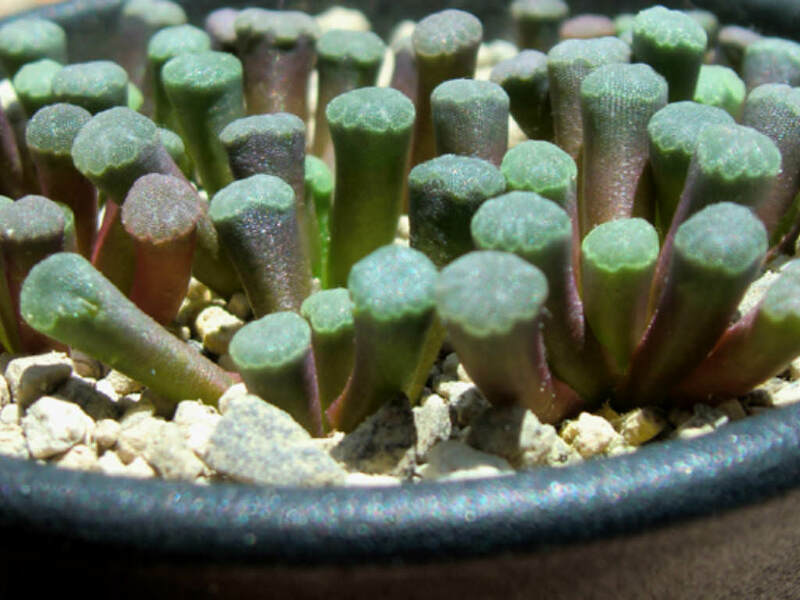 Nearly all problems occur as a result of overwatering and poor ventilation, especially when weather conditions are dull and cool or very humid. Keep dry in the winter. It does well in full blazing sun, as well as whit some shade in summer. When in growth feed every two or three weeks with a low nitrogen liquid fertilizer. Native to South Africa (Gauteng, Mpumalanga).